Great location and check in was a breeze. Took three minutes between walking in and having the room key in hand with the attendant parking the car and grabbing our luggage. Had the junior suite on the third floor with a view of the castle. since it was street facing, there were remote controlled exterior window covers to lower at night, perfect. minibar was included along with free wifi and breakfast had good options. Room was large and so was bathroom with separate tub and walk in shower. very modern and sleek with all the amenities. great hotel to be in if you can get a booking. highly recommended for Ljubljana. We were delighted from the moment we walked in the hotel. Luca, at the reception desk, was friendly, helpful, and knowledgeable about the area. And our room was fantastic! Very modern with every amenity imaginable. The bed was super comfy and even though our hotel was on the second floor and right on the street, not a sound could be heard during the night. Breakfast was amazing and the service was top-notch. We haven’t had a hotel experience this enjoyable in quite some time, even when we’ve paid more. And to boot, the hotel is within walking distance of most of the downtown area that you’d want to see. 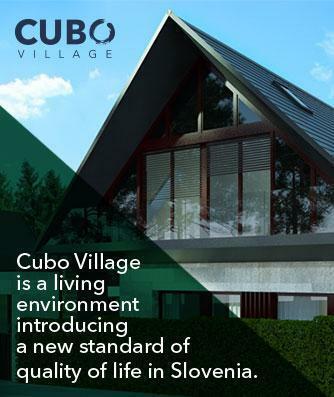 Be sure to stay at Hotel Cubo. You won’t be disappointed! Всем кто едет в Любляну, рекомендую данный отель. Отель находиться в городе, недалеко от центра. Вечером прекрасно можно выйти и погулять пешком по городу, по набережной, посмотреть все достопримечательности. Номера отеля шикарно оформлены, прекрасный дизайн, удобно, комфортно, замечательные ванные комнаты. Отель подойдет как для деловой поездки, так и для романтического путешествия. Vietimme kolme lomapäivää Slovenisssa kesällä 2014. Valitsimme Cubon suositusten perusteella ja emme pettyneet hotelliin. Hotelli on viehättävä. Huoneet tilavat ja hyvin varustellut. Erinomainen kylpyhuone ja hyvä aamiainen. palvelualtis henkilökunta. Loistava kokemus. We were here for 3 nights recently, as a family of 4. We had a double bed room, with another single smaller bed for our 5 year old. We had four nights here and loved everything about this hotel from location, service, staff and rooms. The breakfast was amazing and cooked to your own tastes. Wonderful hotel, gorgeous city. Wouldn’t stay anywhere else! We’ve been travelling for three weeks throughEastern Europe and we didn’t know what to expect in Ljubljana……and were we surprised. The Cubo is ultra modern with beautiful subtle colour coordination, funky furniture and very cool wall paper. The room we had was beautiful. Amazingly soft bed with very contemporary styling. The fold down service was a nice touch. It faced a courtyard and other apartments but this made it very quiet. The office staff were extremely attentive and helpful providing us with eating suggestions and driving directions. They also looked after my car with real expediency. The breakfast was terrific and satisfied all our needs. The staff here were also lovely. All in all, a great experience.